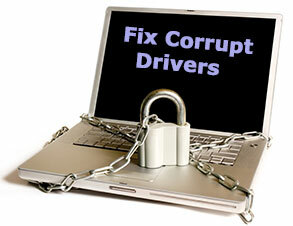 Corrupt drivers can cause several types of problems, depending what kind of drivers they are. For example, if the printer drivers are corrupt, your printer might not be able to print or if it does, it will not be what you required. In other cases, the problems vary from minor to very serious and even system crashes that can lead to a loss of information. I recently had to deal with corrupted graphics card drivers. This caused some minor errors in 3D applications at first, and after a couple of days the entire system kept crashing without any apparent reason. The important thing in this case is to identify the problem as being caused by faulty drivers and knowing how to fix it efficiently without losing your work. 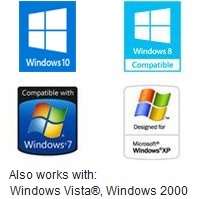 The best thing to do is to uninstall the drivers that you believe are causing the issues and install a fresh new copy just downloaded from the manufacturer’s site.This ensures that those drivers are working properly and if the problem still appears, you can go right ahead and check the other drivers. If this seems too difficult for you, there are some software suites that can check the drivers for you. However, these are not very efficient and will cost some money. It is easier and more efficient to check the drivers manually. There are only so many drivers that can cause a system shutdown, so it shouldn’t take too long. Also because you are installing the latest versions of those drivers, your system will work as fast and as stable as possible. Finally, make sure that you are not using third party drivers or versions that have been modified by certain individuals unless you know your way around some programming codes. Those drivers might be providing some extra performance, but it is far more important to keep your work safe than to work 5 percent faster.